Vimeo has claimed that there are no 4K videos on Vimeo and everything displays on Vimeo at 1080p or less. To our delight, YouTube has added the new feature that it supports 4K videos, which means that you can upload 4K videos shot by a 4K camera like the popular GoPro Hero4 to YouTube for sharing. But are you patient enough to bear the awful long time it takes to finish uploading a 4K video to YouTube? And does 4K to YouTube uploading always work smoothly and successfully for you? Many people prefer to upload GoPro videos to YouTube instead of playing with a video player like QuickTime. But they are having the same problem that is they can’t upload 4K video to YouTube though YouTube claims that 4K uploading works. To make GoPro Hero4 4K videos appear on YouTube and Vimeo in order to make people throughout the world know what you’re doing and how you feel, you need to compress and convert a 4K video shot by the GoPro Hero 4 to a smaller size video which is in strict conformity with what YouTube and Vimeo have specified in regard to format, video bitrate, audio bitrate, resolution, etc. Pavtube Video Converter is an ideal 4K video compressor and converter to convert GoPro Hero4 4K videos to YouTube and Vimeo supported formats for uploading like MOV, MP4, AVI, WMV, FLV, etc with bitrate, resolutions, etc meeting the requirements for successful uploading to YouTube and Vimeo. 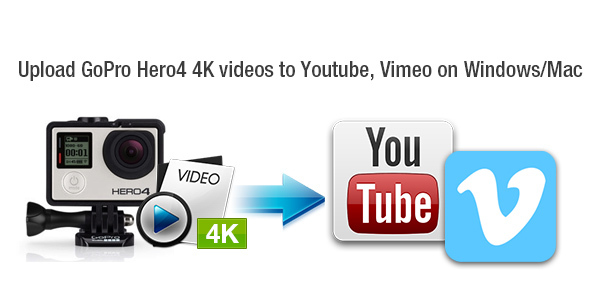 How to upload GoPro Hero4 4K videos to YouTube/Vimeo? 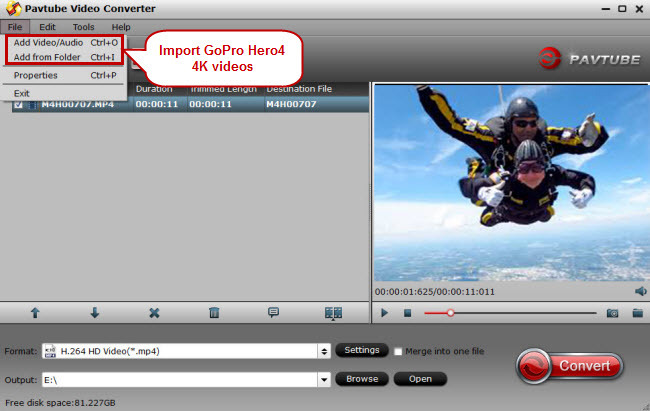 After tranferring GoPro Hero 4K video to computer, run this 4K video converter and compressor on PC and click “File” ＞ “Add Video/Audio” or “Add from Folder” to import 4K videos shot by the GoPro Hero4 camera. 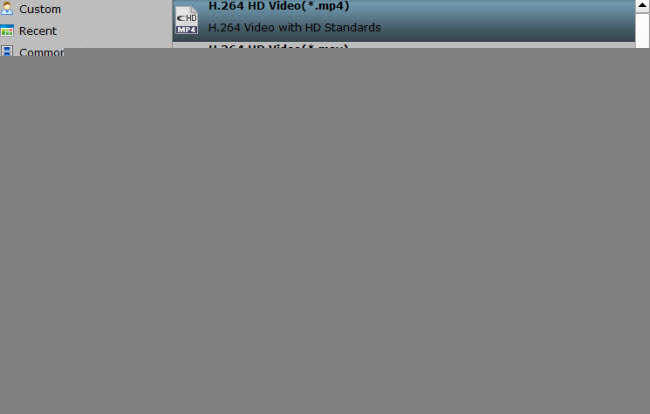 Click the format bar to follow “HD Video” and pick a proper video format in HD quality. 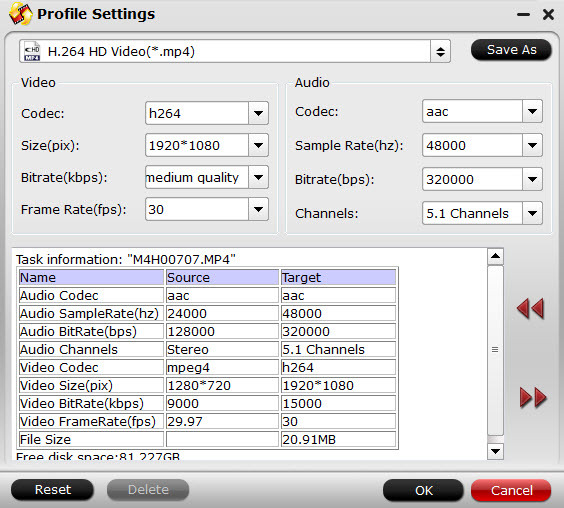 Go to the “Profile Settings” screen where you can adjust parameters like video size, bitrate, and sample rate to the best for uploading to YouTube and Vimeo. Click the “Convert” button to start converting and compress GoPro Hero4 4K videos to MP4, MOV, AVI, WMV, etc for YouTube and Vimeo. After conversion, you can make the converted GoPro 4K videos shine on YouTube or Vimeo.